I made my own Pumpkin Pie Spice Vodka to use as a base spirit for some holiday drinks this year. The infused vodka is surprisingly easy to make and has a more pronounced spice flavor than you find in flavored vodka you can buy at the liquor store. 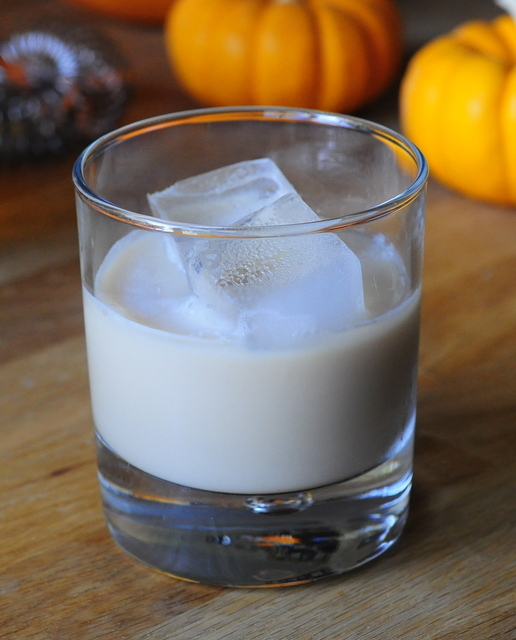 The spiced vodka can be used in place of regular vodka in any recipe that you think it will work well, and this Pumpkin Pie Spiced White Russian is a very good fit. 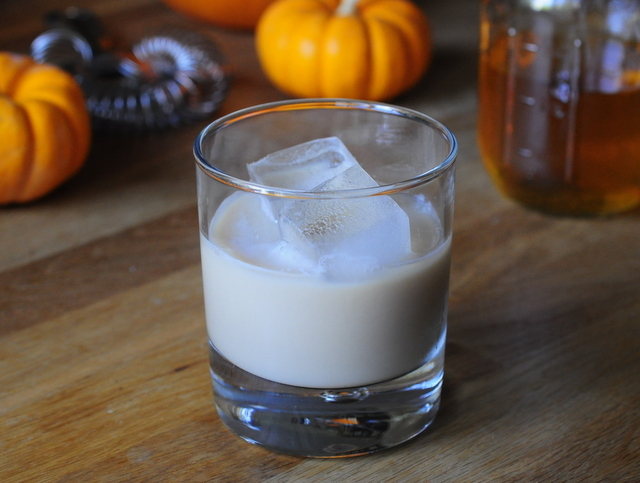 The spice of the vodka is tempered by the cream in the cocktail, creating a nice blend of fall spice, coffee and rich cream. This is a good dessert drink after a holiday meal and it makes a great nightcap on a winter night, too. Pour all of the ingredients into an ice filled shaker. Shake until chilled and combined. Strain into an ice filled glass.